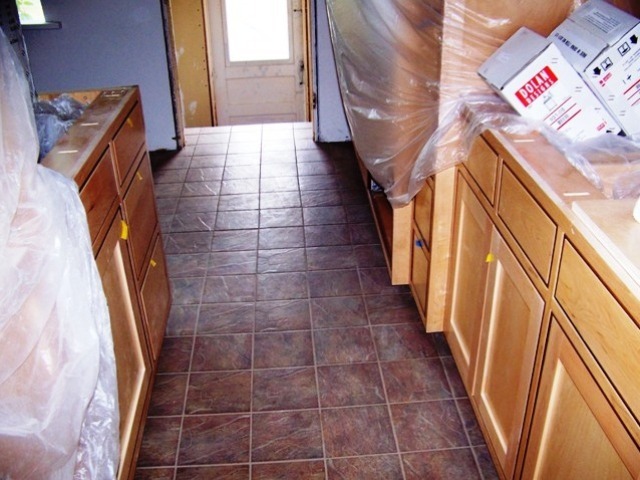 8' porcelain tile in the kitchen, hall bath and laundry downstairs. 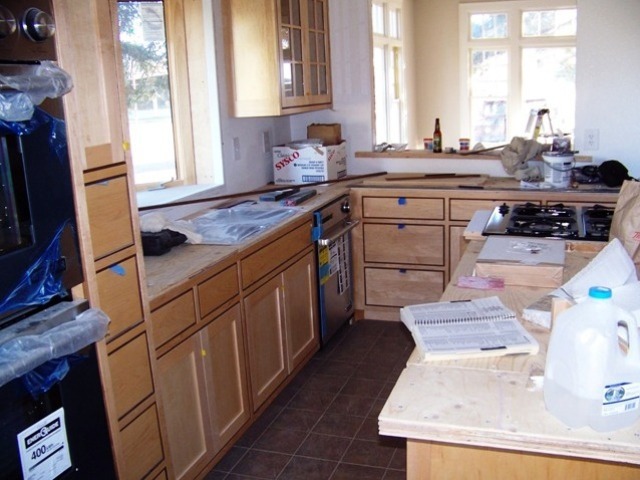 The bay window sites behind the single hole faucet and stainless undermount sink. The splash should transition to the baywindow and thruway. 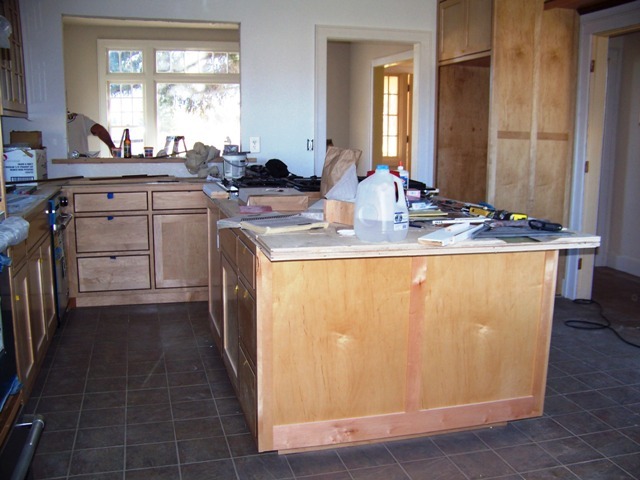 All counters are overlaid with two 3/4" plywood subtop. We can band the subtop with maple for a polished overlay top. 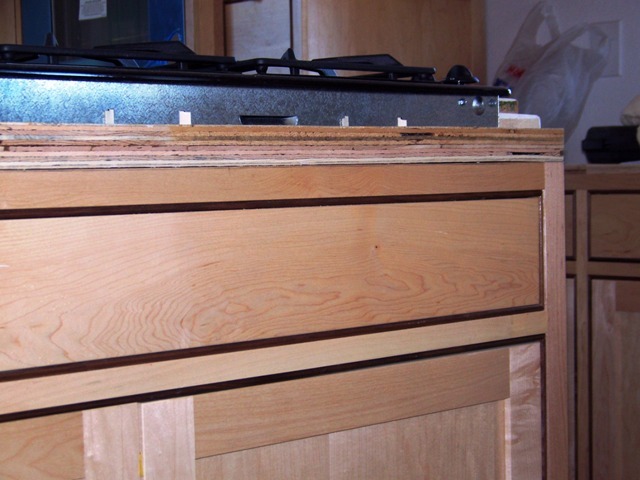 The island has a overlay four burner downdraft stovetop with grill at the east end. 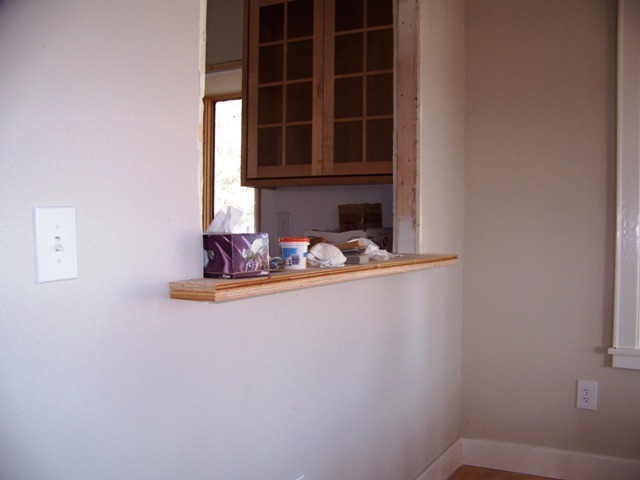 The thruway between kitcehn and dining room wraps the wall on both ends. 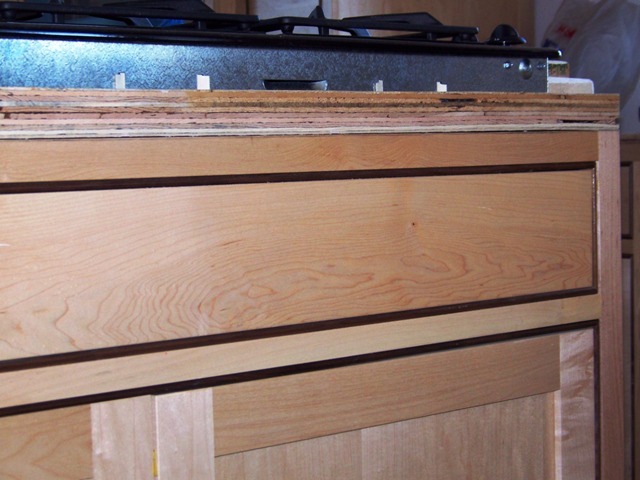 If we add maple trim these dimensions will need to be increase 1/2" to 3/4" per edge. We are preapred to mill maple to face the subtop.